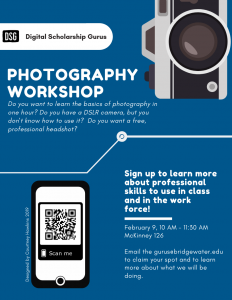 The Digital Scholarship Gurus will be hosting a photography workshop on Saturday, February 9 from 10am-11:30 am. 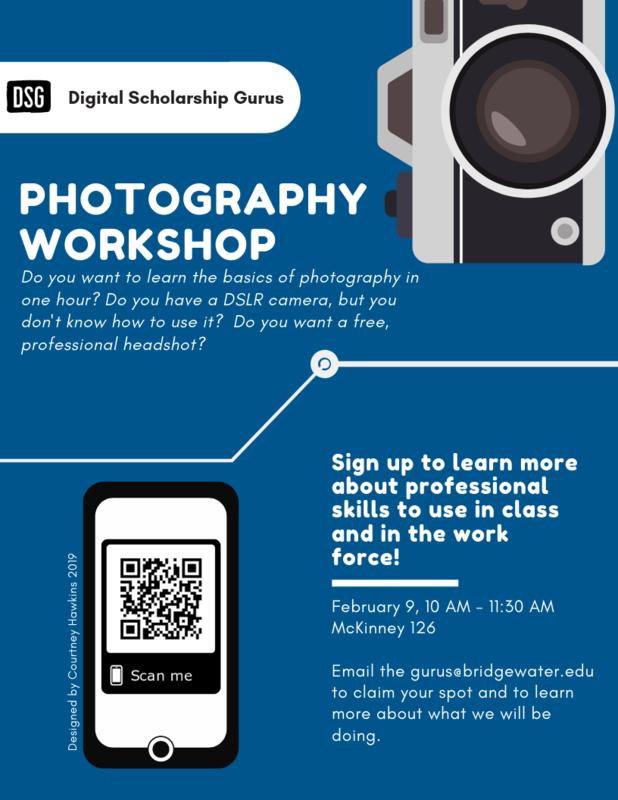 The workshop covers the basics of photography using a DSLR camera: ISO, Shutter Speed, Aperture and useful tools to edit images. To register, email gurus@bridgewater.edu to claim your spot! If able, please bring a DSLR camera to the workshop because the Gurus will not be provided cameras. However, if you do not own a camera, we still encourage you to attend ;).